For those of you who follow us on social media you may well have already seen the news that we didn’t make it to our show yesterday. As I told you on Friday, despite going fantastically well recently, Scottie was lame when I rode on Thursday. He wasn’t awful at all. I’m not very good at grading lameness but if I had to give it a number I would say around 3/10s. He felt wobbly in front in trot and had a definite nod. Although the girls at the yard who were watching said it wasn’t overly noticeable if you weren’t looking for something. So I got off and decided to give him Friday off and see how he got on. Friday morning looked very positive as I trotted Scottie on a hard circle before turning him out. While he didn’t look fantastic the entire way around the circle, I would have argued he was sound, or only just lame. As he would be fine round 3/4s of the circle, but on the part of the circle near the gate what starts to slope away slightly there would be some definite head nods and bad steps. After having been out in the field all day I had another good look at him, putting him on a circle on the hard and soft. I was pleased to see that he was perfectly comfortable on both surfaces. So I put him to bed and planned to ride in the morning to see how he felt. Despite having been very sound the day before, when I picked up trot under saddle on Saturday morning he wasn’t right. He was definitely better than he had been on Thursday. So much so that on a straight line he was mostly sound, just having the odd bad step or nod. But round the corners there was a mild but regular nod. It was at this point I got off and decided to cancel our show. Since it was now the weekend and the vets were only open for emergencies, I decided to rest him for a few days and give him a few days of bute. 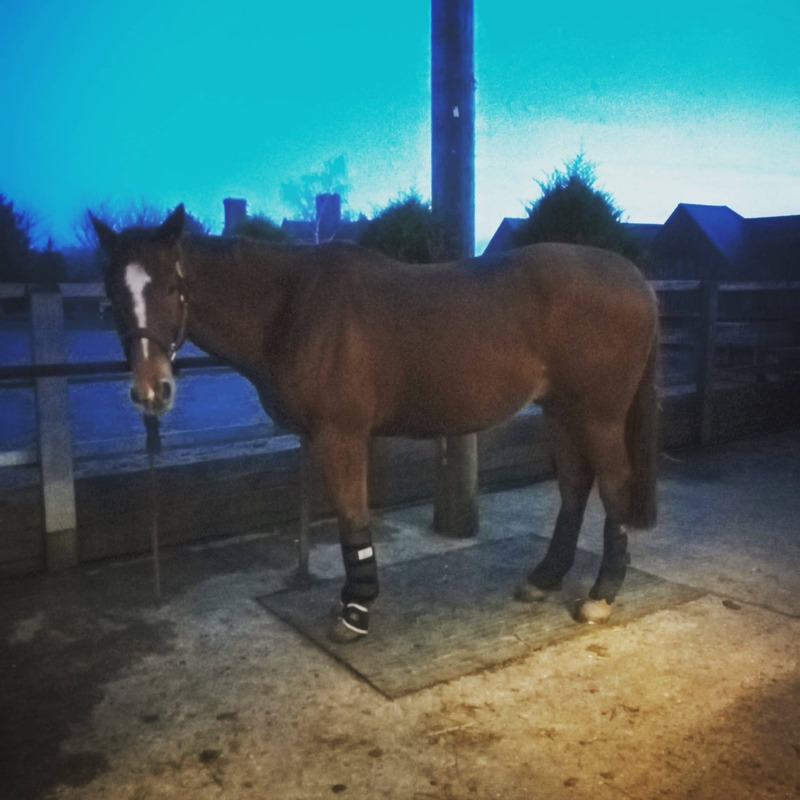 My thought being that the vets didn’t want him box rested when he was showing similar levels of lameness. So he should go out in the field. But in case there was a bit of inflammation in the foot causing an issue, this should bring that down and will give me a better idea of what we are dealing with. Scottie had his last Bute this morning. So I will have another look at him this evening and in the morning before talking to our vet about what has happened. The trouble I am having is that the lameness is so mild, I am struggling to see what leg it is in. So since there are no other signs like heat or swelling, I am just guessing it’s the same leg and same injury. But it could be something else entirely. If he is sound tomorrow, it might be a case of going back a few steps and trying again. But if he is still lame, it might be time to move on to trying a new treatment or method. But I won’t know anything for sure until I’ve seen how Scottie is and spoken to our vet. Until then, frustratingly all my plans for our year are back on hold and hopefully this doesn’t knock my motivation too much. As soon as I get the go ahead I will make a new plan and choose a new show to aim for. Even if it ends up being next year!